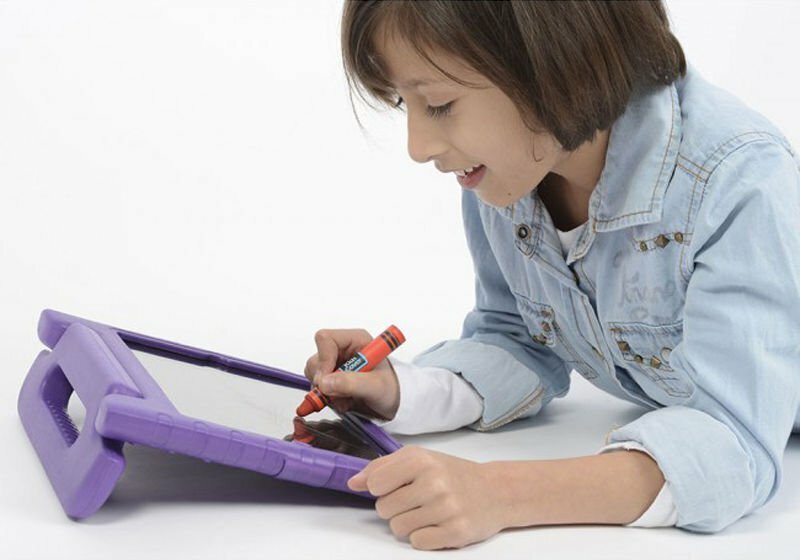 Want to make your iPad & iPhone more kid-proof? 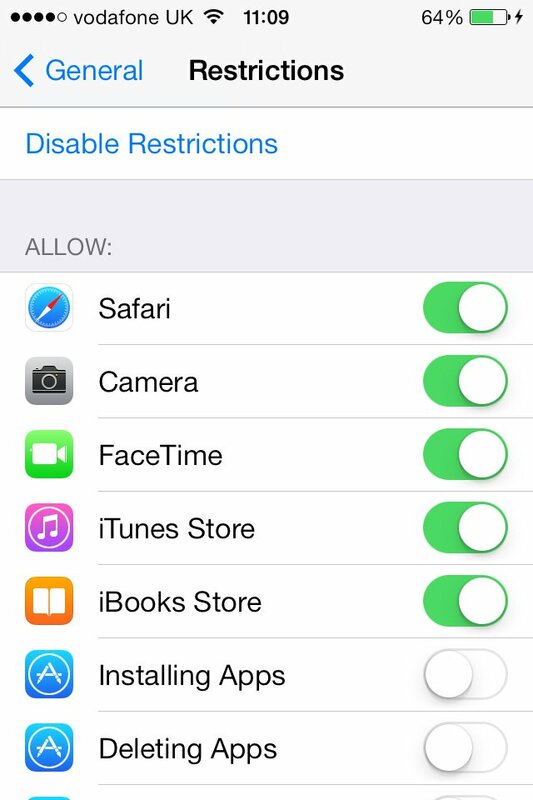 Here’s how to set up parental controls on iPad, iPhone & iOS devices. How to child-proof an iPad or iPhone. Children love iPads and iPhones. They’re a great way to keep them entertained during the summer holidays, with thousands of great apps for kids available for them to enjoy, including games, books and educational apps. However, it’s important to set up parental controls to prevent them accessing inappropriate content. In this article, we walk you through the settings and precautions you should set up before handing over an iPhone, iPad or iPod touch to a child. Let’s begin with a fact you may not have known: by default, App Store passwords only have to be entered once every 15 minutes. Enter it once to buy an app or similar, then hand the device over to your kids, and they’ll have a clear quarter of an hour to (accidentally?) download hundreds of pounds of apps and in-app purchases, and run up an enormous bill. In 2013, for example, five-year-old Danny Kitchen asked his dad for the password to the family iTunes account so he could download the free-to-play app Zombies vs Ninjas. 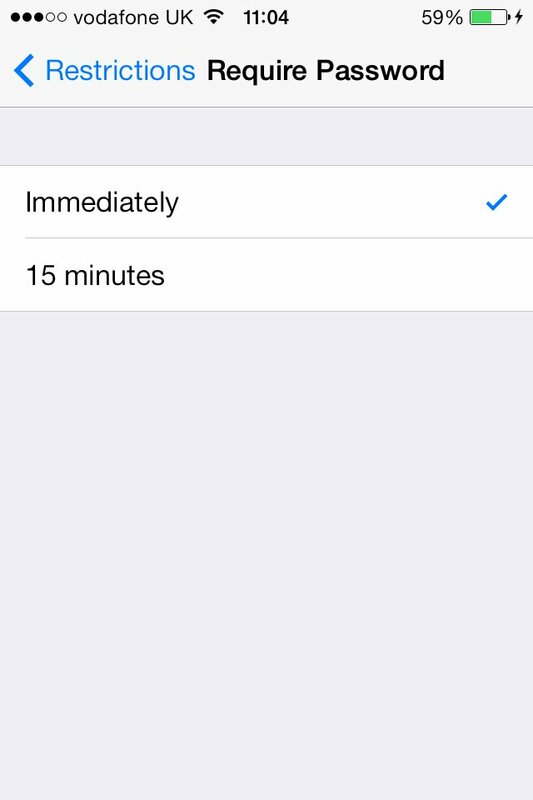 But if you’d simply like to change this specific setting, go to Settings > General > Restrictions, then change the ‘Require Password’ setting to ‘Immediately’. Now, every time your child goes to buy something, whether it is an app or in-app purchase, they’ll be asked to type in the password before they can progress further. To stop your kids from having access to the Restrictions menu and changing the settings back (if your kids are a little older and more tech-savvy), you’ll be asked to set up a PIN code. And Restrictions contains far more settings that will help us to child-proof the device. 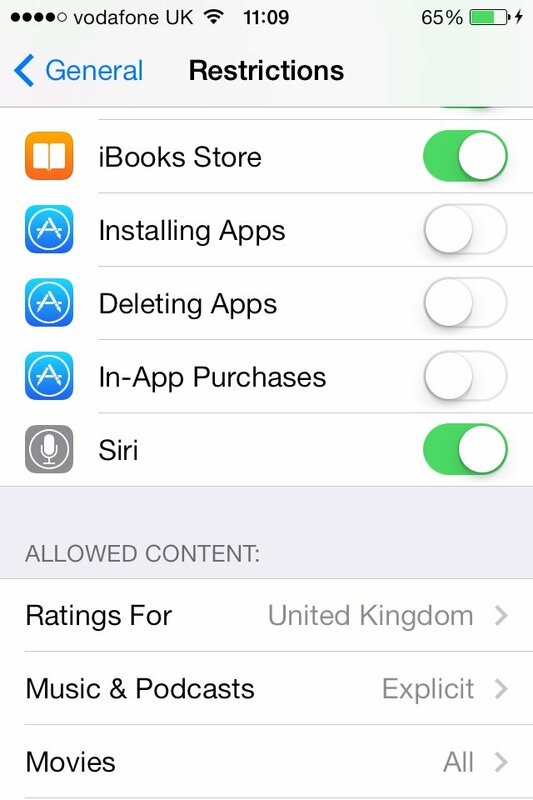 You can ensure that your child doesn’t download any apps at all by going to the Restrictions menu and changing the ‘Installing Apps’ slider to off (from green to white). Within this menu, you can also turn off Safari, Camera, FaceTime, iTunes, iBookstore, Deleting Apps, Siri and Explicit Language for further control over your child’s access to your iPad or iPhone’s features. You can also turn in-app purchases off completely from this menu if you want to. You’ll find the on/off slider towards the bottom of the restriction options. 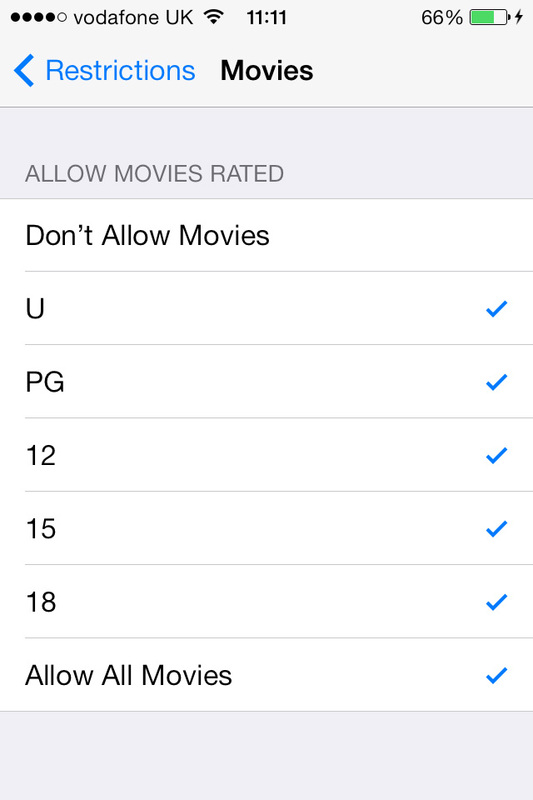 Within the Restrictions menu, you can also prevent kids from downloading content from the iTunes Store that may be inappropriate, by tapping each different type of content (music, movies etc.) and choosing your preferred age rating. It’s not just within apps or on the iTunes App Store that kids can end up spending their parents’ money without realising. In July 2013, a 14-month-old girl accidentally purchased a car using the eBay app when she was playing with her dad’s iPhone. In this case, to prevent a child from being able to access your iPhone or iPad at all, you’ll want to set up a device passcode. You can then choose your passcode. 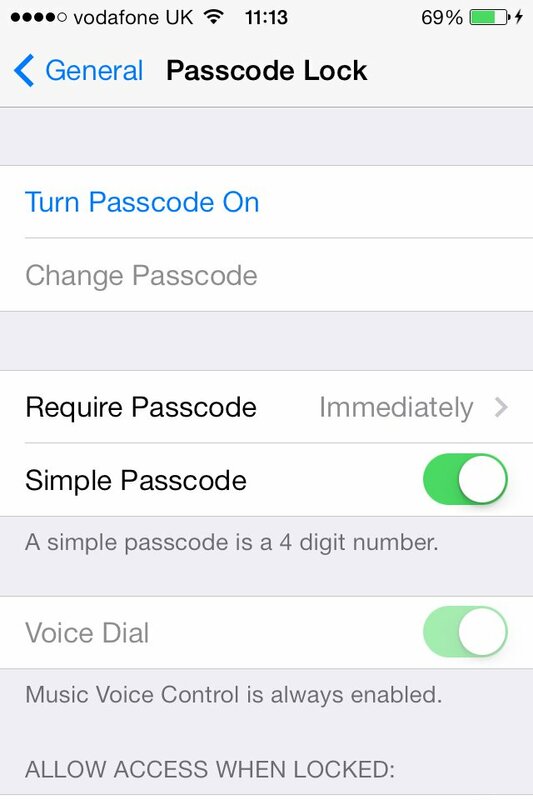 If you slide the ‘Simple Passcode’ slider to off, you’ll be able to type a word rather than the default four-digit number to use as your passcode. Apple recommends that, for children over 13, you should create an individual Apple ID for them to use. While this removes the nuisance of having to turn restrictions on and off every time you want to use it, you will need to switch from your Apple ID to your child’s and vice versa. However, the benefit is that you can ensure that your child’s Apple ID has no credit card on file, meaning there’s no money for them to spend in the first place. 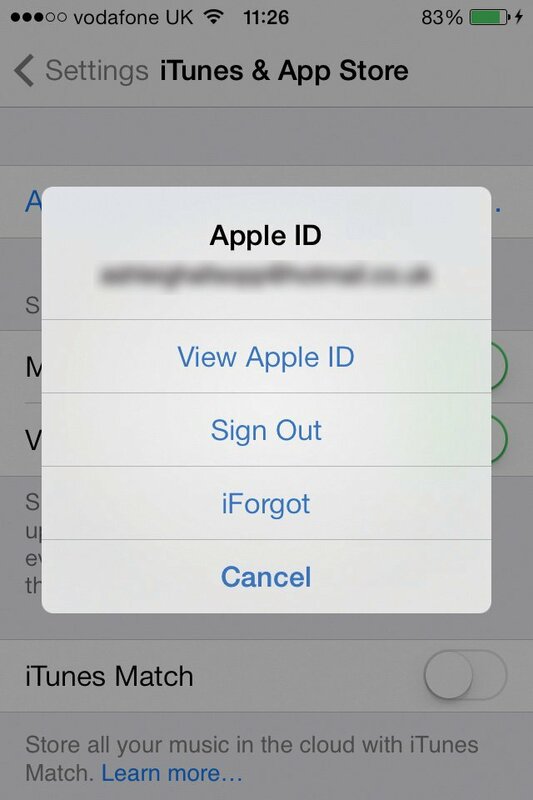 In order to switch between Apple IDs, you’ll need to go to Settings > iTunes & App Stores and then tap on Apple ID to log out. Apple announced a major update to its mobile operating system at WWDC in June 2018, and iOS 12 is now available in beta to try out ahead of the official launch in the autumn. Among the new features in the update is a raft of features, settings and tools designed to make people use their devices less – which might sound counterintuitive, but makes sense from the point of view of addiction, work/life balance and mental and physical health. Many of these features are grouped under the heading of Screen Time. 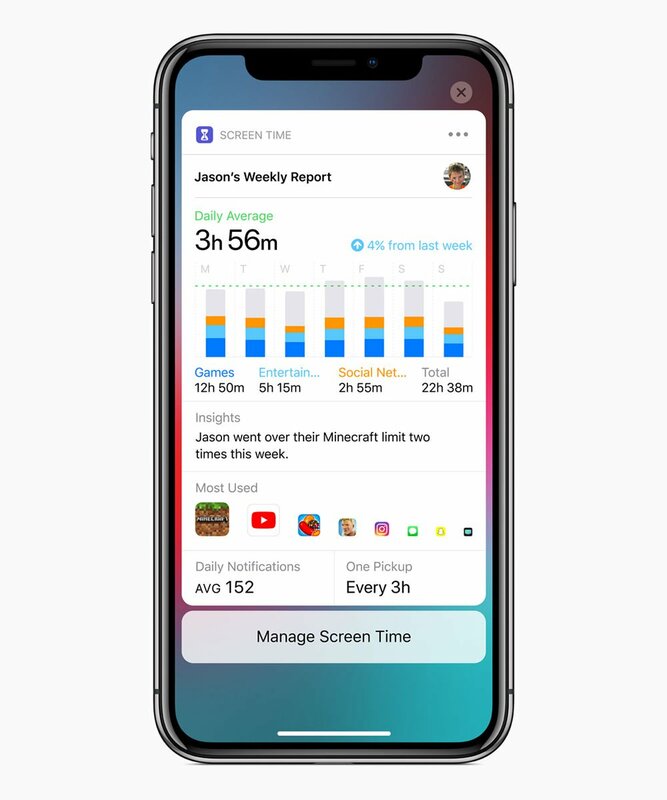 As an adult using an iPhone or iPad on iOS 12, you’ll receive a weekly activity report from Screen Time, exploring the ways you used your device and the apps and app categories that took up the most time, sent the most notifications and induced the most ‘pick-ups’. That information helps you to identify problem apps and behaviours and, where necessary, set limits. But it’s much more powerful for parents, who (assuming they have set up Family Sharing) will also receive a report covering their child’s device usage. From your own device you can set ‘allowances’ for the time your child can spend on apps and app categories, set apps that are always allowed and manage the content they can view.